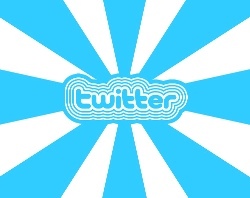 According to worldwide comScore figures released today, Twitter’s own site attracted 73.5 million unique individuals in January, up 8 percent from December, 2009 (when it had 65.2 million visitors). Its annual growth rate is nothing less than amazing at 1,105 percent. A year ago, Twitter.com attracted only an estimated 6 million visitors. Anything that grows at a rate of 1105% is staggering, to say the least! A lot of people try to compare sights like Facebook and Twitter. However, in my opinion, it’s like comparing apples and oranges. Twitter IS NOT a social networking site – Facebook is. Twitter is more about broadcast messaging, crowd-sourcing, and sharing links. Facebook is more about talking and carrying on with family and friends (Facebook Fan Pages are the exception). Twitter’s growth rate for a crowd-sourcing platform, as I’ve said already, is nothing less than phenomenal.